Aypraktik, a Russian integrally-informed initiative, has begun to translate and post online Russian translations of the Integral Cinema Studio article series, originally published by Integral Life. The first translated article can be found at: http://ipraktik.ru/inform/approach/integral-cinema.html. Translations by Polina Dushatskaya with editing by Eugene Pustoshkin and technical support by Dmitry Baranov. Original English articles available at Integral Life. Voice in Exile is a dramatic transformative film journey into the mind and emotions of Alan Woodward, a seventeen year old stutterer. Seeing the world, both imagined and real, through Alan's eyes, we share the nightmare that haunts him and his family as he struggles to not let his stuttering stop him from living. My goal as a filmmaker was to capture the inner and outer world of the stutterer through dramatic, symbolic, archetypal, and audiovisual expression. This was a deeply personal journey for me since I have been a stutterer for most of my life. The process began with the writing of the script. During the scriptwriting phase I delved into my own experiences and emotions as a stutter and tried to translate them into a dramatic story. I also interviewed other stutterers for additional research. The script was further developed while I worked with my cinematographer and production designer to translate the experiential reality of the stutterer into a visceral audiovisual language. An audiovisual score was created for the film to explore the use of the expressive elements of space, shape, line, light, color, tone, rhythm, movement, orientation, time, contrast/affinity, sign, symbol and archetype in the capturing of the emotional and perceptual states of an individual who stutters. This score was developed from the my own personal story and experiences, along with the stories and experiences of other stutterer's. 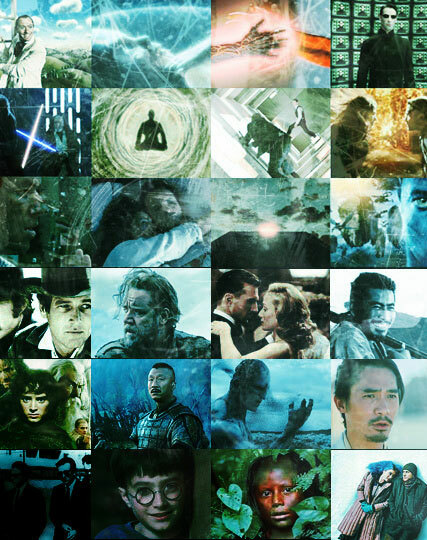 The screenplay and storyboards were created concurrently with the visual score, enabling the integration of the visual design throughout the piece. The visual score included divisions for subjective and objective perceptions of waking reality (SPR/OPR); subjective dream states (SDS); and subjective developmental transitions (SDT). Throughout this process and the rest of preproduction, production, and postproduction, a profound inner battle waged within me. Part of me desired to share these inner experiences with others, while another part of me was terrified of revealing this deeply personal emotional reality. This personally transformative filmmaking experience also appeared to have a transformative effect on viewers of the film as well. A majority of stutterer's reported feeling as though the film captured their inner lives. This produced emotional release, a reduction in feelings of isolation, and an increase in self-esteem in numerous cases. There was one reported case of the film averting an individual’s attempt at suicide. Families of stutterer's who viewed the material reported an increase in understanding and empathy for the family member who stuttered. Non-stutterer's reported an increase in understanding about stuttering and empathy for people who stutter. 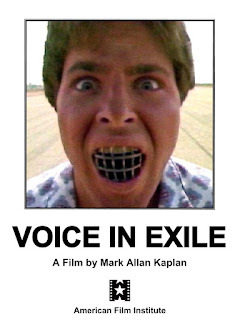 "Voice in Exile" also won numerous awards including the Golden Gate Award at the San Francisco International Film Festival and the Silver Medal at the Chicago International Film Festival, and was aired on Cinemax/HBO and A&E Cable Networks. More Information About "Voice in Exile" is available at voiceinexile.com.